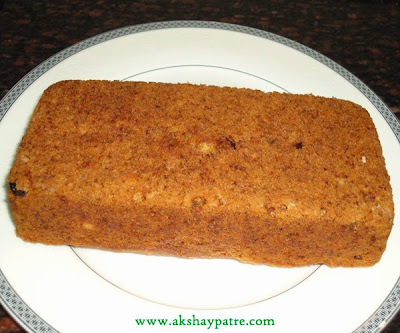 Eggless banana cake recipe - This Banana cake is a pleasurable soft cake with ripe banana, milk and butter. Banana in this cake enhances the flavor and addition of butter adds extra softness and taste.This cake is simply wonderful and above all it is eggless. I like it most due to its texture and taste. Put the butter in a bowl .Add the sugar to it. Beat for 4 - 5 minutes till the butter becomes light and creamy. Add the grated banana and mix well. Add the baking soda, baking powder, lemon juice and beat well. Add the maida , corn flour, milk and fold in. Fold in nicely till everything combine well. Add the cashew nuts, raisins and fold in. Grease the cake tin with butter and dust with flour. Preheat the oven at 180 Degree Celsius. Pour in the batter. Bake in the oven at 180 Degree Celsius for 30 - 35 minutes. 1. Put the butter in a bowl .Add the sugar to it. 2. Beat for 4 - 5 minutes till the butter becomes light and creamy. Add the grated banana and mix well. 3. Add the baking soda, baking powder, lemon juice and beat well. Add the maida , corn flour, milk and fold in. 4. Fold in nicely till everything combine well. Add the cashew nuts, raisins and fold in. 5. Grease the cake tin with butter and dust with flour. Preheat the oven at 180 Degree Celsius. 6. Pour in the batter. Bake in the oven at 180 Degree Celsius for 30 - 35 minutes. If a knife inserted in the cake comes out clean, the cake is ready. Rest in the oven for 5 minutes. 7. 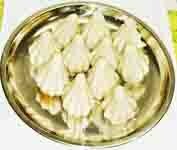 Demould in a plate and allow it to cool. Cut into pieces and serve. 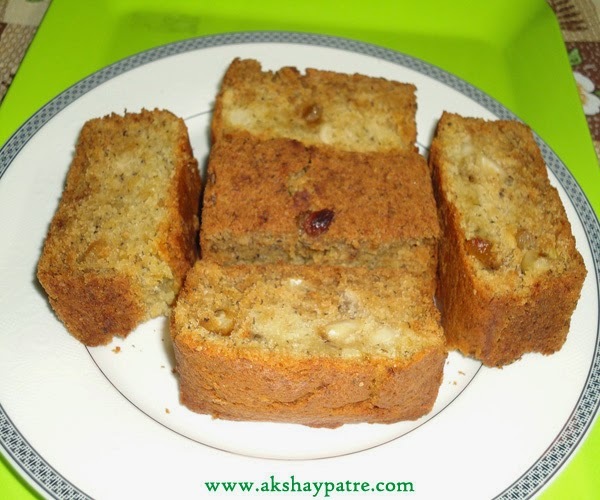 Love this banana cake, super moist and nice flavor. Impressive clicks too.